Over the course of development we have shown several weather-related effects that will come to play a major role in the gameplay of Lacuna Passage. Well, with the upcoming survival sandbox mode we have started to polish these weather effects and randomize them as part of the overall survival system. A fair amount of work has been invested in these weather features to make them feel organic and natural, but instead of going into a ton of detail I thought we could share some gifs and videos of our progress with simple explanations to accompany them. Mars is not known for its particularly cloudy skies, but there are certainly some clouds on the Red Planet that we have observed. We've shown off our cloud shader in the past, but now our clouds will cycle between different formations throughout the day-night cycle. The above timelapse helps make these transitions more noticeable, but in realtime these cloud effects should be quite subtle. 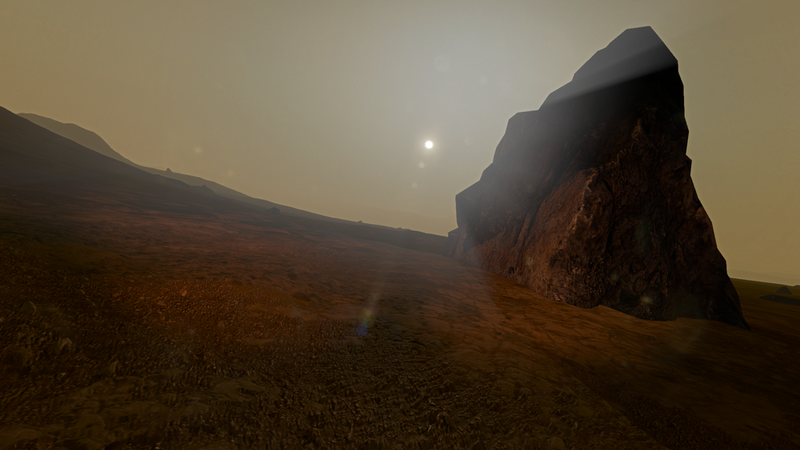 Hopefully the skybox will feel just as alive as the terrain under your feet. 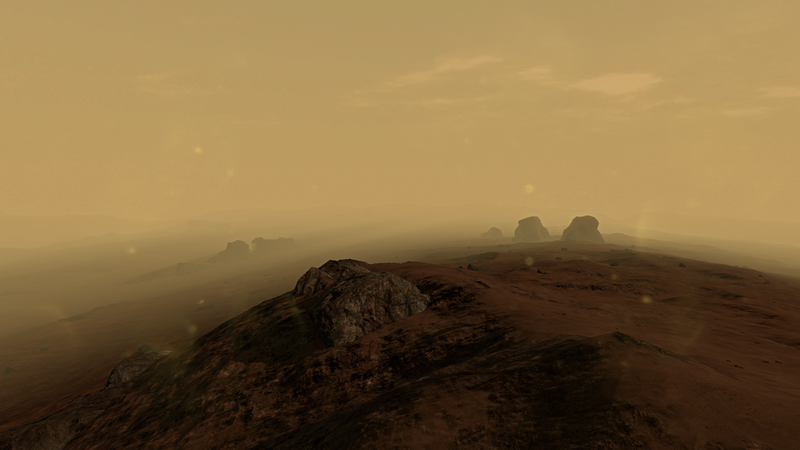 One thing that helps our terrain feel dynamic is the blowing dust particle system. You've seen these random dust particles before, but previously they only blew in the general direction and speed of the wind. Now they follow the the contours of the terrain as well. This is a subtle change, but it allows us to place these particle zones in a much wider range of possible locations where they can adapt to the terrain shape automatically. If you watched our devlog video from a couple months ago you will have seen how the wind direction and intensity is already being randomized and reflected visually with the weather monitoring instruments on each Waypoint Station. We are taking a different approach to dust storms now, largely due to the influence of The Martian (both the book and the movie). We loved the idea of a dust storm being a slowly-building danger that requires careful planning to avoid. So instead of showing a distinct stormfront on the horizon, it is now a gradual change in visibility over the course of a few in-game days. Careful observation can allow you to notice a storm before it becomes dangerous, but preparation is even more important. As we mentioned before, each Waypoint Station will have weather monitoring equipment. So each WayStat that you have active on the map will improve your chances of getting an early warning on your datapad of an incoming storm. These storms have specific trajectories across the map according to the current wind speed and direction. If you have enough warning you may have time to move from one habitat to another outside the edge of the storm. As you can see from the drastically sped up video above, a full dust storm can impact your visibility, mobility, and navigation functions of your suit and datapad. In such a scenario, your scanner may become your new best friend. The scanner function on your suit has undergone some relatively big changes. Those of you that have played the Prologue demo or watched some of our previous videos might recall that the scanner would display an exact outline of almost any man-made object, even if it were behind terrain. We decided to change to the above pictured icon-based scanner for a few reasons. Most important is readability. We were concerned that the old system provided you with lots of visual clutter and very little readable information. Now different types of items will be associated with different icon styles and their scale on screen will remain consistent in order to better identify points-of-interest at a distance. Ignoring the color artifacts in the above gif compression, you can see some variations we are experimenting with for scanner icons. Right now they also grow in size when you approach within a certain radius of the object, indicating that you have "arrived". The original outlines around entire objects also felt a little to "science-fiction"; and while we are certainly bending realism throughout Lacuna Passage, we want things to feel plausible whenever possible. Importantly, your scanner does not have infinite range. You will still need to explore the map and activate additional WayStats in order to increase your scanner range. 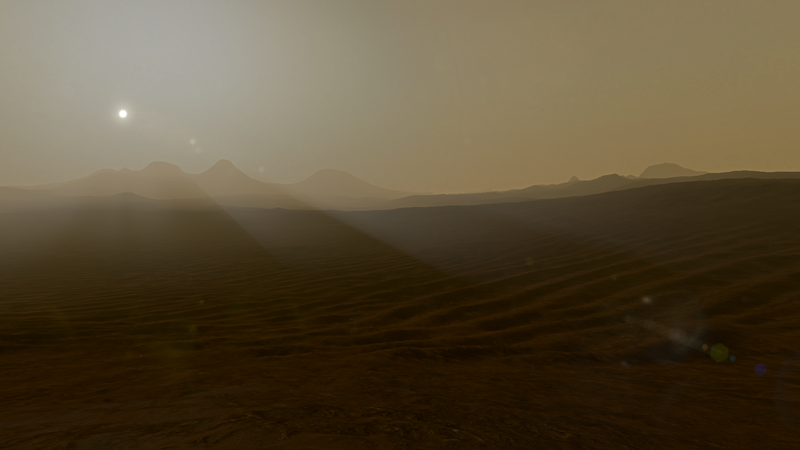 We hope you like the changes that we have made in preparation for the survival sandbox weather randomization. We have lots more planned for the coming months so make sure to follow us on Twitter or like us on Facebook to stay in the loop! Last month we mentioned that we would be switching primarily to TIMEframe development for about a month. Well, soon after we announced that we got some news that required us to switch priorities once again. We are now focused on Lacuna Passage in preparation for an important deadline that we can't talk about just yet. As soon as that deadline is met we will jump straight back to TIMEframe so that we can have that finished and up on Steam, hopefully by the end of March. This is a Lacuna Passage devlog however, so let's get to the stuff you are here to see! 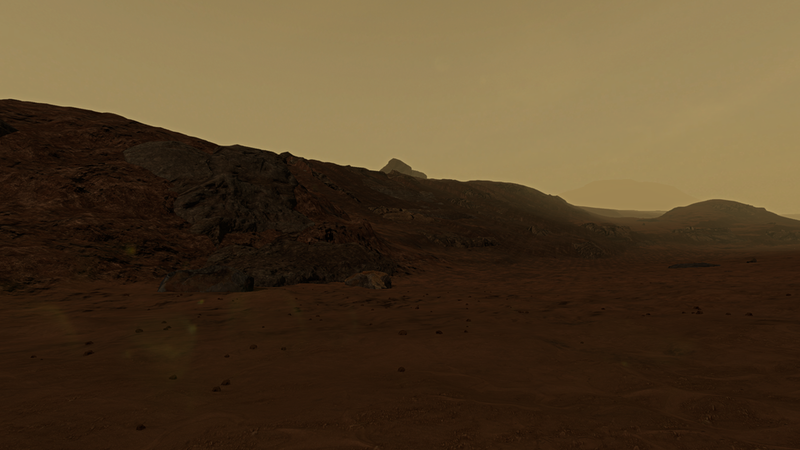 It should be no surprise to you by now that the Martian landscape is a huge focus for us. 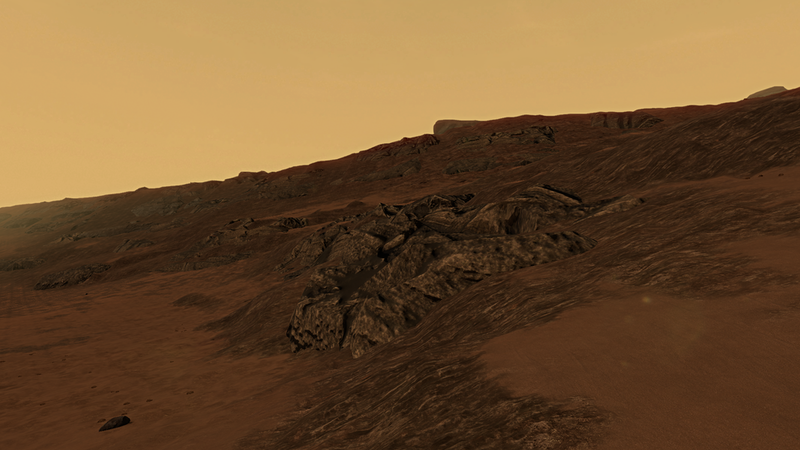 We have established a base level of detail for the full-scale terrain of the game, but now we are slowly starting to fill in more fine details using patchwork combinations of additional Mars data renders. We recently received a new batch of renders that you can see below. We actually use a different image format than the above example renders for our heightmaps, but this method helps you to see the details of the terrain better from a top-down perspective. A big change for us this month is the addition of a new story flowchart system. This might look complicated, but it's actually a huge improvement over our previous method. A while ago we discussed how we transitioned away from using the Playmaker visual scripting system in favor of using C#. Well, a few areas of development have actually suffered because of that transition. Using a state machine is hugely beneficial for something as complex as a branching storyline, so we have begun using Playmaker again for defining story progress and save points. This visual reference for player progress is much easier for us to manage than a complex series of C# scripts. Of course, most of the execution of story events is happening via code, but state machines are now the driver behind that code. Hopefully this will reduce the amount of time it takes us to add new story content to the game. We finally have a good video demonstration of how Song Seed will work in both Lacuna Passage and TIMEframe. There's not much to say here that I don't discuss in better detail in the video, so if you are interested in how our dynamic music will work mechanically you can just check out the video above. If you have any questions this month let us know in the comments! Development is finally reaching the point where we are able to start placing content within our full-scale environment. Our demo from the Game Developers Conference and the Midwest Game Developers Summit was effectively a test to ensure our tool set for terrain development was sufficient for the much larger scaled terrain that would be in the final game. The demo was approximately 5 square miles of terrain (though only a small part of it featured in the walkthrough) and now we are working with roughly 19 square miles of exploreable terrain for the final game. You can see a comparison below. Anyone who has worked with terrains in Unity knows that there are dozens of variables and settings to tweak to get things looking just right. Doing all that manually for 16 terrain tiles (as opposed to 4 in the demo terrain) was not an option. In order to scale up our workflow for iterating and improving this larger area we needed to automate as much of the process as possible. There are plenty of tools on the Unity Asset Store that are built specifically for this purpose, but after evaluating many of them we realized that we needed something more tailored to our setup. So we began working on a custom Unity Editor Window. To the left you will see a preview of our Full Terrain Manager. This custom editor allows us to update materials, detail textures, heightmaps, colormaps, normalmaps, splatmaps, and detailmaps with the press of a button rather than manually assigning them one at a time for each of our 16 terrain tiles. This cuts a 2+ hour process down to less than 15 minutes. So if you aren't a developer and just want to know what this means for Lacuna Passage, it means we will have more time to make the terrain in the game as stunning as possible. The next step will be to get our terrain streaming ironed out so that only the terrain tiles that are needed are loaded for the player at their current location. 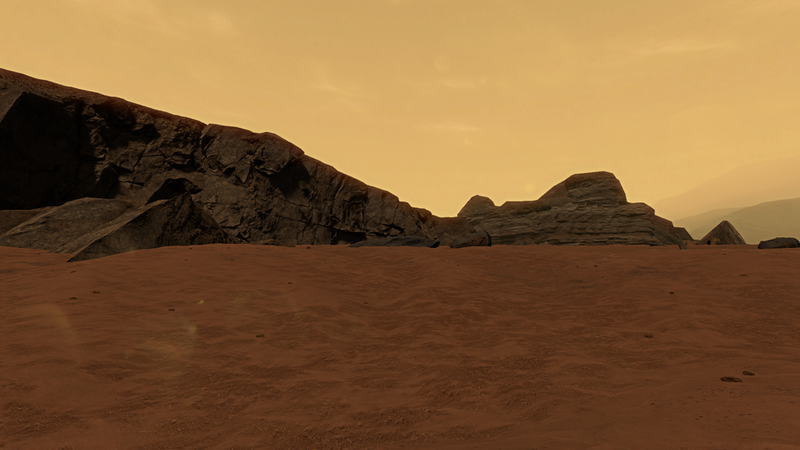 Then we can begin placing some of the other assets we have been working on to make this feel like a truly expansive Mars landscape with the same level of detail and quality you saw in our smaller demo terrain. That's it for today's devlog, but check back in a couple weeks to see another art update from Spencer and his progress on the Foundation base camp Greenhouse. Here is a time-lapse video of our newly rebuilt time-of-day system. Enjoy!